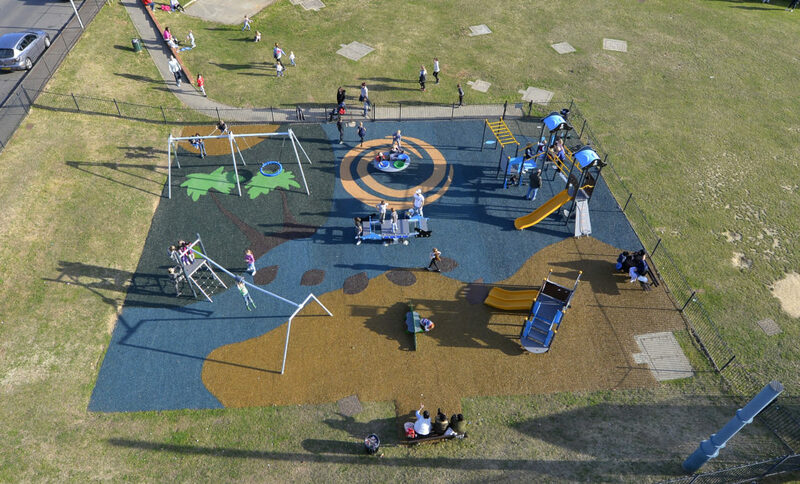 PlaySmart have recently completed an ambitious playground surfacing project around Kompan equipment at Bending Crescent Play Area in Bexhill using Rubber Mulch. 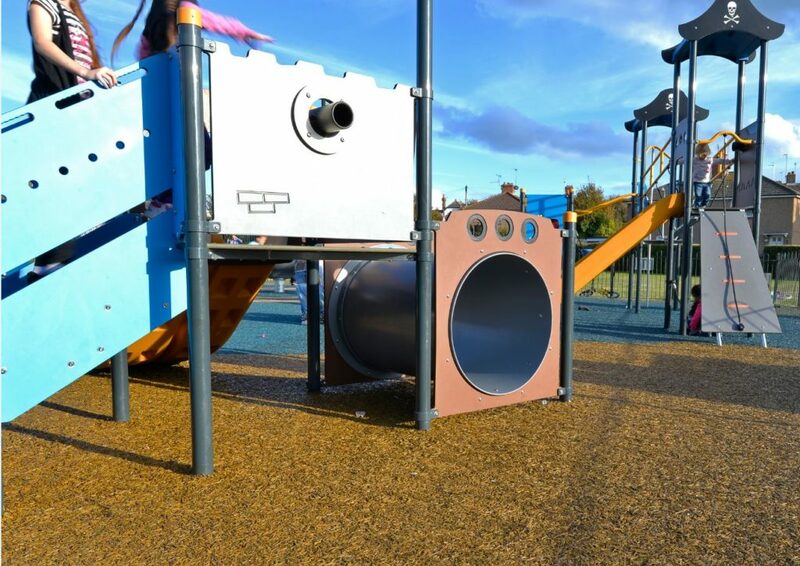 A tropical theme was required to tie in with colourful new play equipment and it was decided that we would use a combination of practical rubber mulch surfacing with inlaid EPDM designs to create a range of textures and a striking finish. The client commented how well the playground surfacing set off the new equipment and the new design has made the location a real destination for play. If you’d like advice on the best surfacing solution for your area, please feel free to get in touch! You can reach our experienced team directly on 01564 742 811 or alternatively request a quick quote.